We develop individualized anesthetic plans based on breed, age, and medical status. 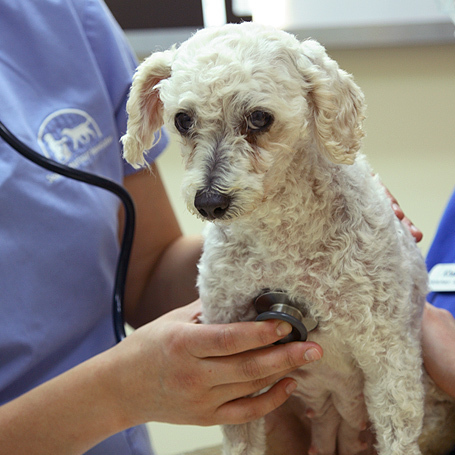 Our full range of anesthetic services is formulated by our veterinarians based on each individual pet’s needs. Balanced anesthesia provides the best selection of sedatives, pain medications, local and regional treatments, and inject-able or inhaled general anesthetics. Only veterinarians and licensed veterinary technicians administer anesthetic agents, and aggressive monitoring continues through recovery using respiratory and cardiac monitor tracking modalities and methods. We also enhance circulation through warm water pads designed for pet safety and forced air-warming blankets. Learn more about our pre-anesthetic labwork. If your pet must have surgery to improve its health and needs anesthesia as part of that process, we can help. Schedule an appointment today.